Hilton has announced the appointment of Noelle Eder as executive vice president and chief information and digital officer. Effective 19 March, Eder will oversee the continued digital transformation benefiting the guests and team members of the world’s most hospitable company. Jon Witter, chief customer officer, said: “You don’t get to be a leader in hospitality and digital technology without focusing first on your guests. “From smartphone capabilities like Digital Key to connected rooms that allow for integrated entertainment, temperature and lighting controls, Hilton is leading the way with game-changing technologies. Eder brings to Hilton a unique cross section of business acumen, deep technical knowledge and customer-facing experience. 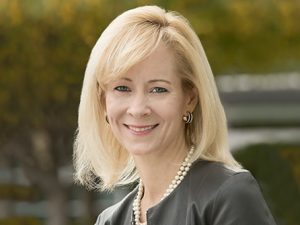 As chief card customer experience officer at Capital One Financial Corp., she was responsible for leading the digital transformation of Capital One’s customer experience for the company’s $15bn credit card business. Eder also spent nine years at Intuit, most recently as senior vice president and chief customer care officer. During her time there, she led one of the largest technology platform transformations in the company and developed their Customer Care strategy. Eder said: “Hilton’s nearly 100-year history of innovation is evident in the way it applies technology to support its business and enhance the guest experience. Eder holds a Bachelor’s degree from Boston University. She will be based in Hilton’s global headquarters in McLean, Virginia and report directly to Jon Witter, chief customer officer.